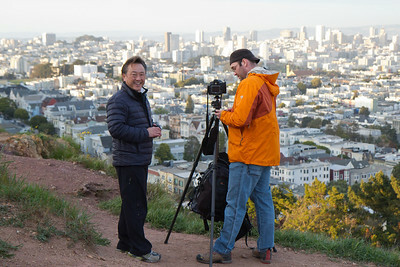 Geo and Eric with the Night Photography Meetup group at Corona Heights Park overlooking San Francicso. 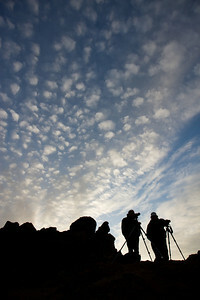 Cotton ball sky with photographers' silhouettes at the Night Photography Meetup in Corona Heights Park, San Francisco. 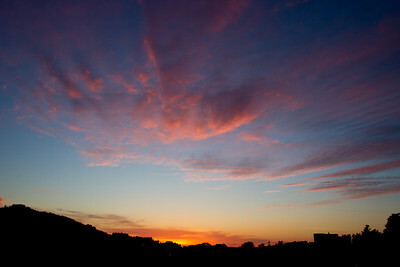 Sunset from Corona Heights Park, San Francisco. 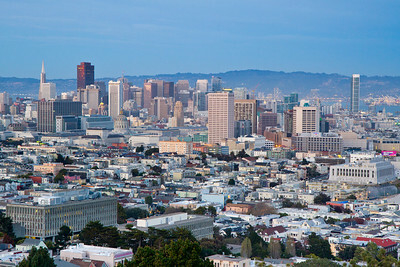 Downtown San Francisco from Corona Heights Park. 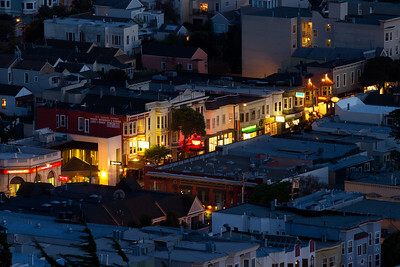 Castro Street lights at twilight as seen from Corona Heights Park, San Francisco. 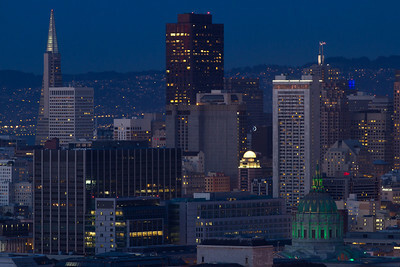 San Francisco at twilight as seen from Corona Heights Park. 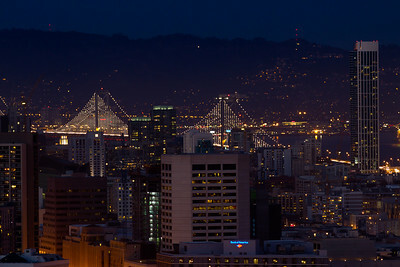 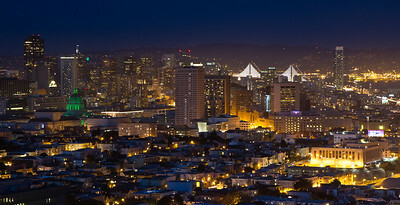 Bay Bridge with art lights as seen from Corona Heights Park, San Francisco. 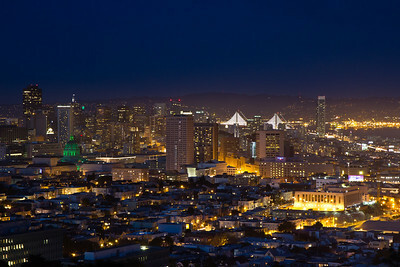 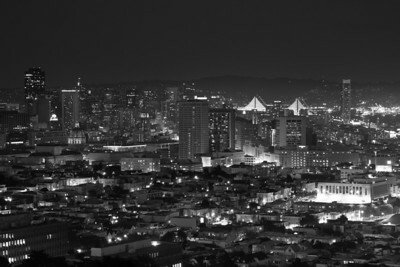 San Francisco night lights as seen from Corona Heights Park. 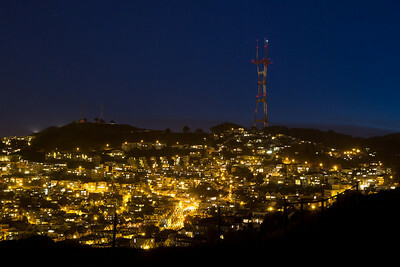 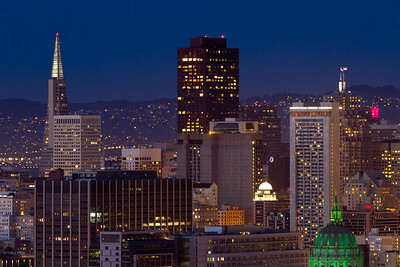 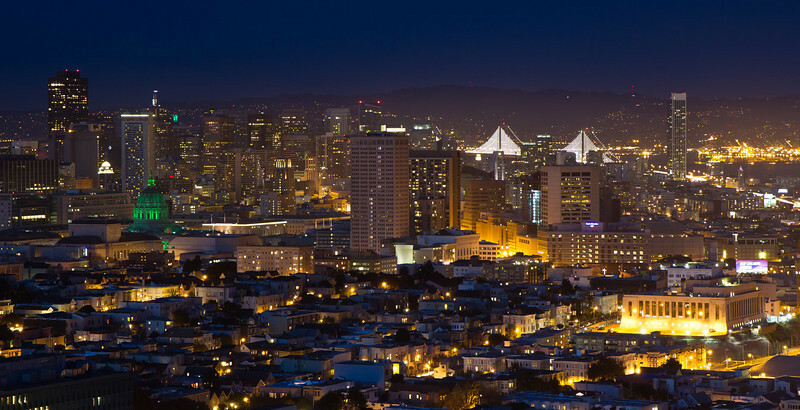 Sutro Tower, Twin Peaks, and Eureka Valley homes in San Francisco at twilight. 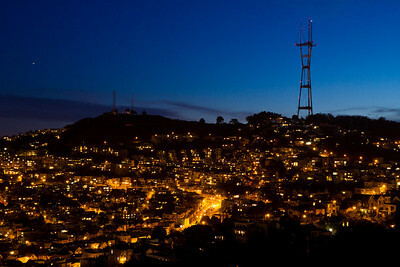 Taken from Corona Heights Park. 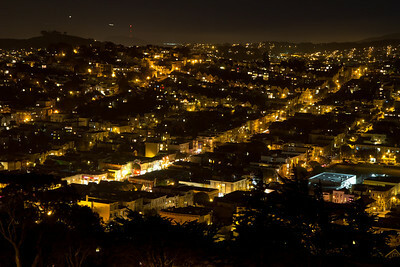 Castro Street at night as seen from Corona Heights Park in San Francisco.